Sierra Foot & Ankle, a podiatry practice in Gardnerville, Nevada, is dedicated to foot and ankle health and treatment. Our physicians and staff strive to provide the highest quality podiatric care. 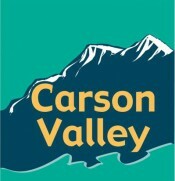 Located in the Carson Valley Medical Center, at the intersection of Hwy 395 and Virginia Ranch Road. Take the first left (North) off of Virginia Ranch Road into our parking lot. Buidling A, Suite 101.